Daydreaming Gifts goes Home Decor! Last week I got a phone call about doing curtains for a baby’s room! 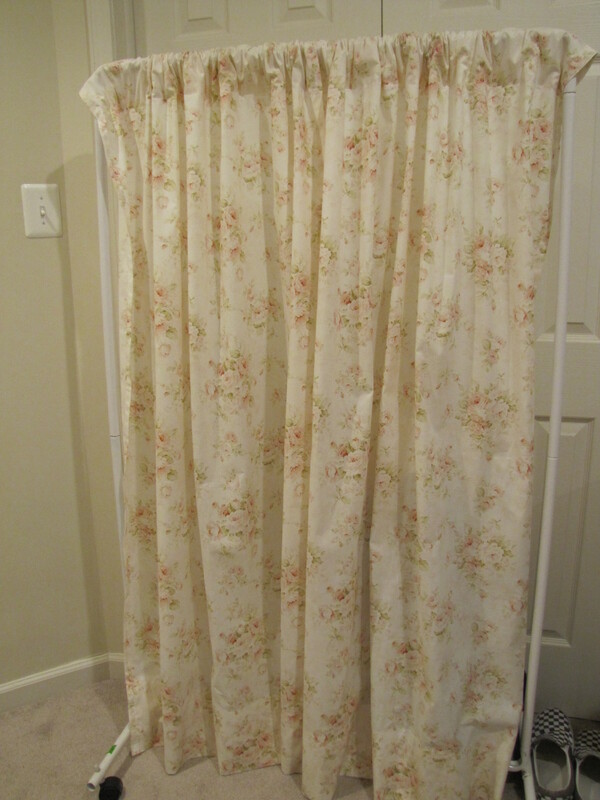 The lucky mom is due at the end of November and the curtains are the last final touch to she needs for the room. Of course, I haven’t done curtains before so I called up my husband’s Aunt who’s been doing curtains for a long time and see what she can do. 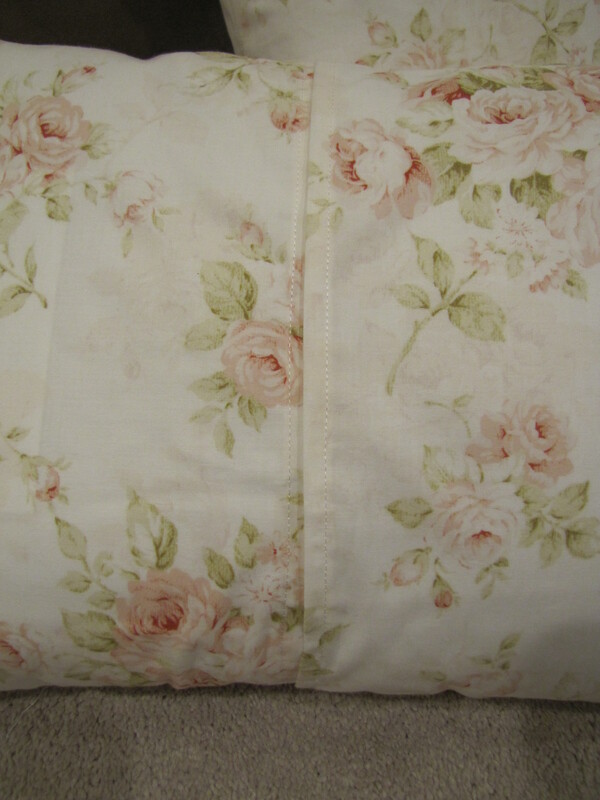 I absolutely love this fabric – it’s for a shabby chic style bedroom and I think it fits perfectly. 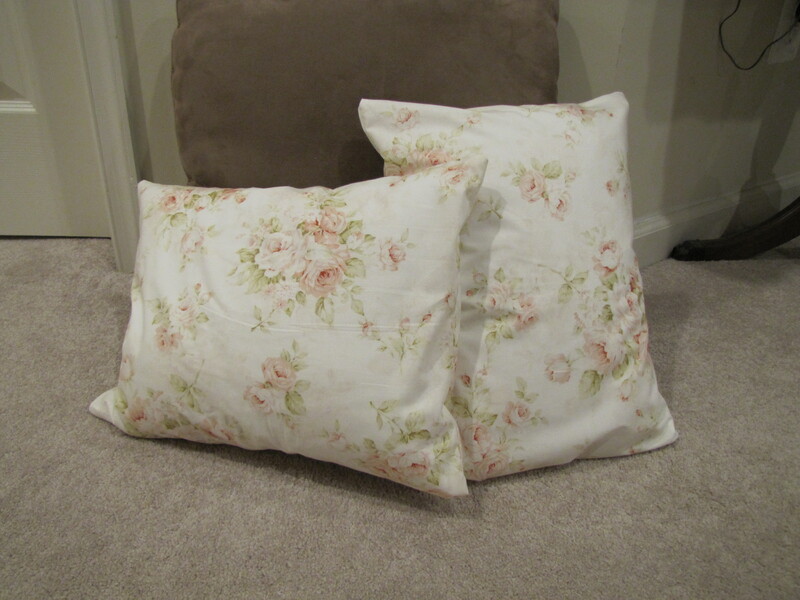 After a few hours of sewing I realized I had enough fabric to make a few pillows – so I did!! They look a little big in this picture but they are just little throw pillows. I also made the covers a little big so when they were washed and dried they’d fit perfectly. This was my first time doing a slit pocket in the back but I knew I needed to. I’m the kind of mom who wants everything to be able to be thrown into the washer with as little to no hassle as possible! So for my first attempt – I am SUPER proud! I think everything turned out gorgeous and I can’t wait to give it all to her tomorrow! She’s got me started on a new direction of craftiness and I love it!! ← Crafts: Work In Progress Wednesday!